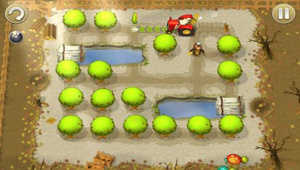 Earlier this week Sony unleashed 20 (mostly) new games on PlayStation Mobile, the new indie game delivery platform for the PlayStation Vita and PlayStation Certified devices. That’s a lot of games to take in all at once, so we did it for you. We played every game available on PlayStation Mobile so you didn’t have to, putting the fresh batch of titles through their paces on both the Vita and an Xperia Ion from Sony. Let’s see what games are worth your hard-earned pocket change. The last word in the title is key. 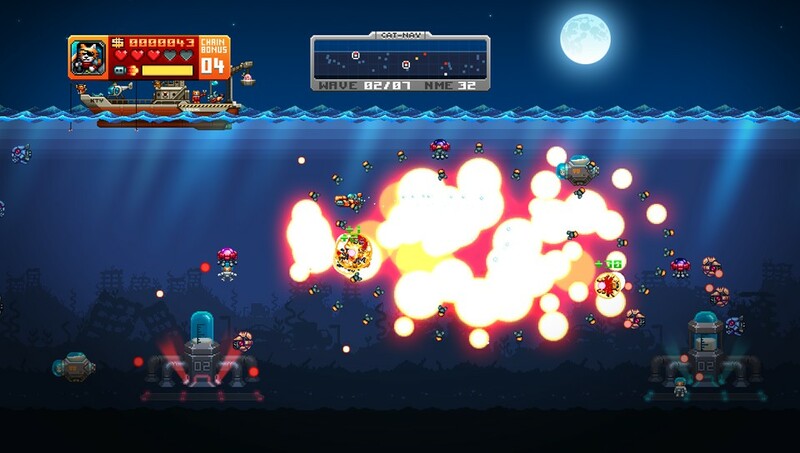 This game is like the classic arcade side-scrolling shooterDefender. Except it stars cats. Who mine. Underwater. For milk. The pixel art is retro. The controls are simple and well-mapped to the Vita’s sticks and buttons. This is a good arcade-style throwback, wrapped in an odd but not annoying theme. The first of FuturLab’s two inexpensive PlayStation Mobile apps is a wonderfully simple combination of slide puzzles and music. 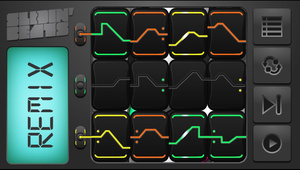 Each row of every slide puzzle is a track in a piece of electronic music. 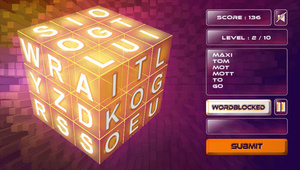 Complete each line to complete the song, and then move on to the next puzzle. 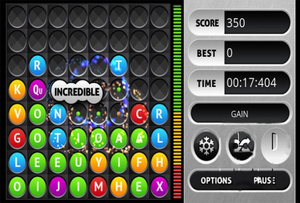 Once you’ve completed a puzzle you can go back in and shuffle the titles to create your own custom remix. It’s simply delightful. I’m not normally one for slide puzzles — I’ve never been good at them — but this little $.79 app and its 15 puzzles makes me want to get better. 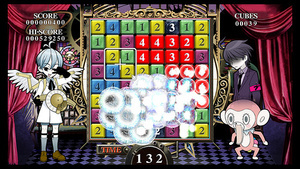 A selection of five mini and card games that seems geared more towards Vita players than Android gamers, Everybody’s Arcadestarts (on the Xperia Ion at least) with the trial version of Klondike Solitaire unlocked and four more games — Video Poker, Black Jack, Book Arranging and Pie Throwing — available for $2.99 apiece. The Solitaire is capable enough. The rest? Not enticing enough to spend $2.99 on, that’s for sure. 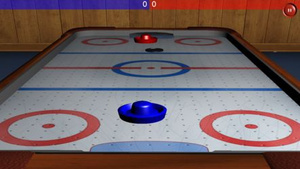 Flick Hockey is an incredibly basic version of Air Hockey, the third-favorite game of drunk people in seedy bars next to Pool and tossing sharp objects (hopefully) at the wall. 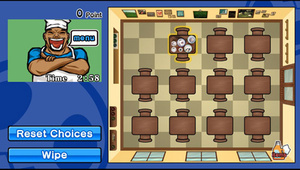 The choices are third-person single-player, top-down single-player or top-down multiplayer. Flick Hockey plays well enough, but there really isn’t enough here to get excited about. Not much has changed from the iPhone release of Frederic – Resurrection of Music, and that’s a wonderful thing. 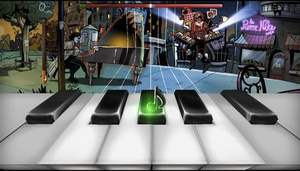 Everything that made this wonderfully bizarre piano battle game my Gaming App of the Day pickthis past January translates wonderfully to the Vita. 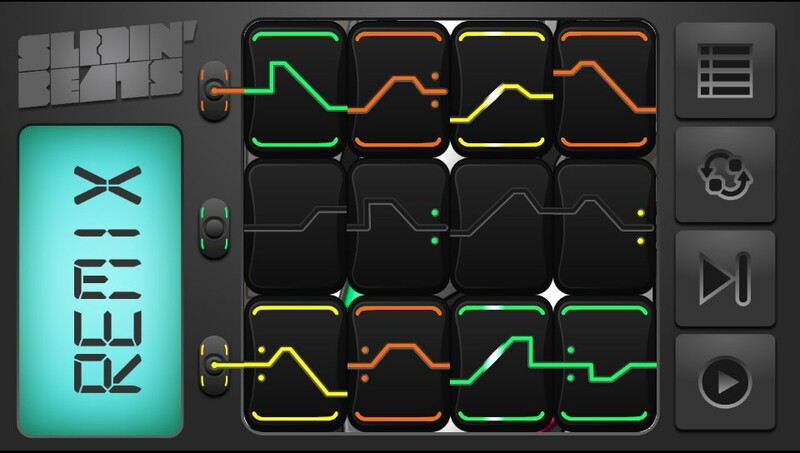 One of my favorite rhythm games reaches a whole new audience. Everybody wins! FuturLab’s second bite-sized game for PlayStation Mobile turns planetary atmosphere management into a frantic game of whack-a-mole. Each of the nuclear reactors has to hit the sweet spot at the same time, so it’s charge one up, switch to the next and so on until for one brief, shining moment all of them are in sync. This game made my fingers ache. If that’s not worth $.49 I don’t know what is. 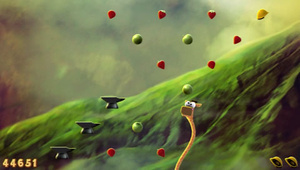 A PlayStation mini updated with shinier graphics and an enhanced menu system,Hungry Giraffe is essentially a jumper, only instead of leaping from platform to platform you’re a long-necked mammal with a twisty neck propelled by snacking on the various treats found in the higher branches. Played with a control stick it’s a wonderfully addictive little treat. The touch screen controls, on the other hand, aren’t all that good, so Android device users might want to give this a pass unless they play with a controller. 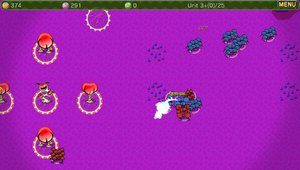 This minimalistic real-time strategy game is a bit too minimalistic for its own good. Tiny barely-distinguishable units do battle in the barren landscape of the human body, infections and antibodies clashing in a concept that’s much more interesting than the end result. Contextual menus are barely large enough to be seen under the fingertip required to make them appear. The most expensive PlayStation Mobile game is one of the least playable of the bunch. Help Vikings loot, pillage and burn the countryside in this matching puzzle game from the makers of many small games you’ve probably never heard of. Loot the Land is one of those matching puzzles where you have to trace a line through adjacent resources in order to collect them, quite popular among role-playing adventure hybrids these days. 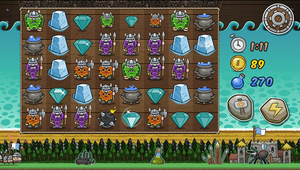 Equipping runestones to unleash special powers and random enemy attacks requiring players to shake or rub the screen to continue break up the standard gameplay. There are better examples of the game type available on mobile phones, but there’s nothing quite like it on the Vita. 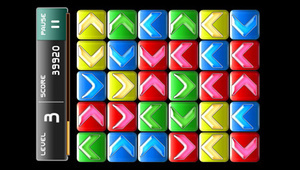 They had me at “the company that brought you Xi[sai]“, a PlayStation puzzler that devoured many an hour back in the day.Magic Arrows is a color-matching game in which players slide blocks to form groups of three or more. The trick here is that the blocks have arrows, and can only move in the direction the arrows indicate. It’s nothing revolutionary — certainly not on the same level as Xi, but it’s entertaining enough for extended sessions of mildly frantic matching goodness. Match blocks. Blocks disappear. Old story, new version: the blocks have numbers on them and the numbers tick up when a cluster of four of them are brought together. So rotate a bunch of blocks, make a 2X2 cluster of blocks with 3′s on them. Let them tick up to a 2×2 of 4′s and, if you’re good, you’ll have two other 4′s nearby to meet them and make a bigger combo. Confused? Then we won’t say any more about the angel and bear who flank the playing field. 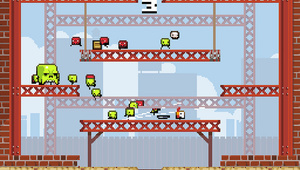 Tricky game, but worth a try if you’re a Tetris Attack or Bejeweled Twist kind of person. 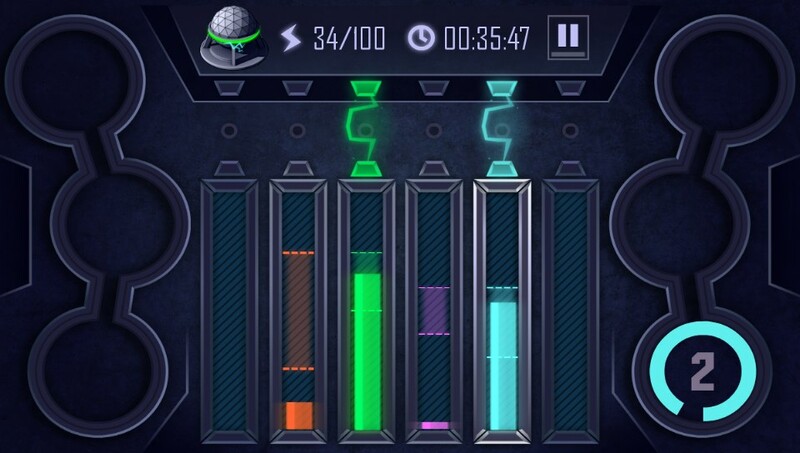 The game makes you feel like you’re looking down a microscope in Biology 101, but is less fun. 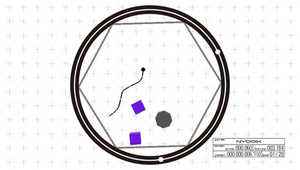 You’re controlling a little tadpole or sperm-looking thing, knocking shapes into the perimeter of the playfield. Sometimes, the pull of gravity seems to change. Pass. 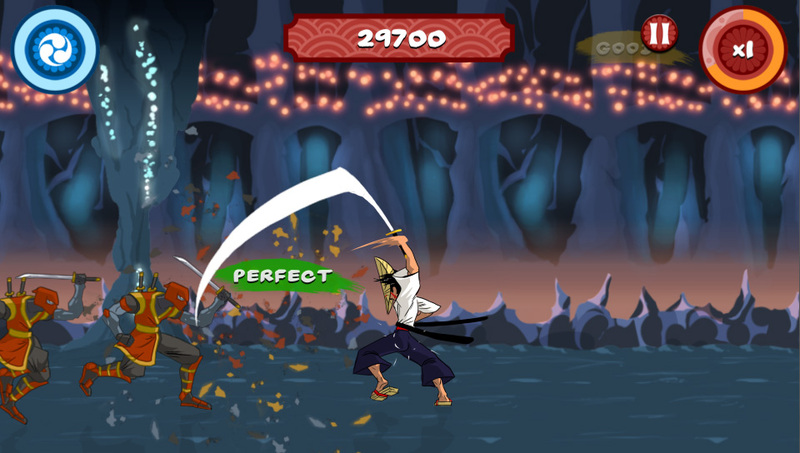 A lone samurai battles waves of rhythmically attacking enemies to the beat of a funky synth soundtrack in this compelling take on the rhythm game from the fine folks at Beatnik. It’s tapping your fingers to the beat with purpose, and it’s incredibly cool. It’s also, unfortunately, rather stark in terms of options and extras. Beatnik had to rush the game out the door in order to make the PSM launch, but promise plenty of updates and enhancements are on the way. Grab it at $.99; I’ve a feeling the price won’t be that low for long. 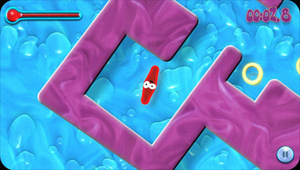 One of the prettier PlayStation Mobile games, Twist Pilot is a simple affair involving navigating a spinning ship through twisting levels, navigating narrow obstructions, avoiding enemies and utilizing conveniently-placed power-ups in order to make it to the goal. It’s easy to pick up and hard to put down, and with 72 levels (and more on the way) there’s no real reason to put it down any time soon. Underline doesn’t break any new ground in the word-find genre. Like lots of other titles in the category, it gives you a grid filled with randomized letters and challenges you to make words under different sets of rules. 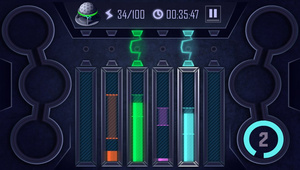 It’s got power-ups that freeze the trickle of letters or ones that jumble up the grid. But the release from the Albino Pixel dev studio also has a big control problem. Selecting letters to chain together by touch just isn’t precise enough. The lettered discs are too small to allow for 100% accurate input and the grid is too tight to let your finger roam without hitting a letter you didn’t meant to. I got frustrated far too many times sliding my finger across the Vita’s screen over and over again trying to make words that weren’t forming. This problem could’ve been alleviated by allowing for options that let you use the device’s physical inputs to control the game. But, bafflingly, such options don’t exist. A word game that won’t let you spell is no good to anyone.Underline is a skip in PlayStation Mobile’s first wave. Word nerds are going to have to wait for a better lexicon game to show up. An interesting twist on the word builder,Word Blocked places the letters used to show off your vocabulary on a Rubik’s cube. Twist it, turn it, and tap adjacent letters to form words. Earn enough points and a row of letters changes, keeping the hunting and pecking alive. If you’re into word building it’s definitely worth a go.